Do you know about the hero’s journey? The one where you set out on a journey, and meet a wise man, and fight a dragon to gain treasure? Of course you do, because you’ve done it. The monster you fought may have been metaphorical – there aren’t many dragons in modern cities – but it was a real threat nonetheless. Luckily monsters come in different sizes: you tend to get the adventure for which you are prepared. It works like this…. Hercules (Herakles in Greek) was a golden boy. To his doting parents, his gifts were apparent from an early age His mother made him a cradle from a great bronze shield. Once a snake slid in beside him, and he strangled it with his bare hands. As he grew older he was a wild one, good at games but less keen on school stuff. His mother made him take music lessons, but he hit his teacher over the head with a lyre. If there was fun or trouble brewing, you could be sure to find Hercules at the heart of it. Tall and strong, he was always a leader among the boys. He wore a lionskin which he slung over his shoulders like a cloak. When he was older, his temper got the better of him. In a fit of madness, he killed his children. The Twelve Labours were set as penance, a way to reconcile him with the world. The first few depended on brute force: he used muscle power to wrestle beasts to the ground, assert dominance over nature. Later on, things started to get more complicated. He had to work out challenges, start to use his mind. The last task involved a trip to the Underworld. This is a symbolic journey, and necessitated insight and spiritual wisdom. Hercules is honoured because he made the hero’s journey. He plumbed the depths of despair, gained wisdom and returned to benefit the rest of society. 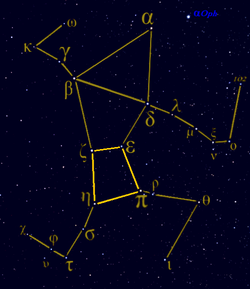 He has been remembered down the ages; he even got a constellation named after him. But the real reason we retell his story is that it resonates with our own lives. We each have to grow up, face our personal demons, and hopefully learn a degree of self-knowledge. There will be times when we despair, and times when we triumph. With luck we will have a mentor to guide us; we will certainly need friends to help us along the way. The depths we face may be symbolic, but the insights we achieve are very real. Joseph Campbell wrote about the Hero’s Journey which we must each undertake. He believed that there are heroes (and heroines) everywhere: ‘The latest incarnation of Oedipus, the continued romance of Beauty and the Beast, stand this afternoon on the street corner waiting for the traffic lights to change.’ Sometimes the greatest heroes are those leading the most ordinary lives: Campbell reveres Leopold Bloom, that humble modern Ulysses, equally with Achilles or Cuchulainn. The inner spiritual journey matters more than the dramatic outward quest. It’s daunting to set out on this journey. The threshold guardians represent unknown dangers: far easier to stay within our comfort zone, in the familiarity of the known world. But if we dare to take the first step, we will find the support we need to achieve our goals. The hero’s journey is the path we must travel if we are to fulfil our true potential. It is the way we were meant to follow, the work we were born to do: the deepest expression of our inner self. The heroic journey is the great road of life itself. The Hero is one of the twelve major archetypal figures. Learn how these figures manifest in your experience. ‘LifeWorks‘ by Jane Bailey Bain helps you to develop your own story. Visit Jane’s Author Page and follow her on Twitter @janebaileybain. If you like this post, use the buttons to Follow or Share on Facebook, Twitter and Stumbleupon. 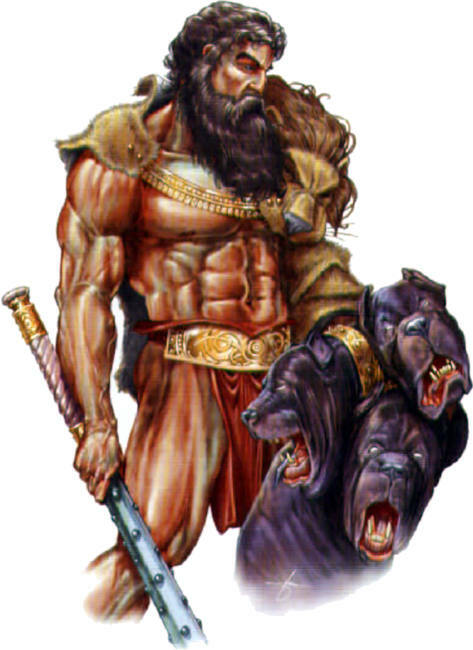 This entry was posted in Life, LifeWorks, Mythology and tagged Herakles, Hercules, Hero, Hero's Journey, heroic cycle, heroine, Joseph Campbell, Labours, mythic quest, Twelve Labours, unconscious, underworld. Bookmark the permalink. 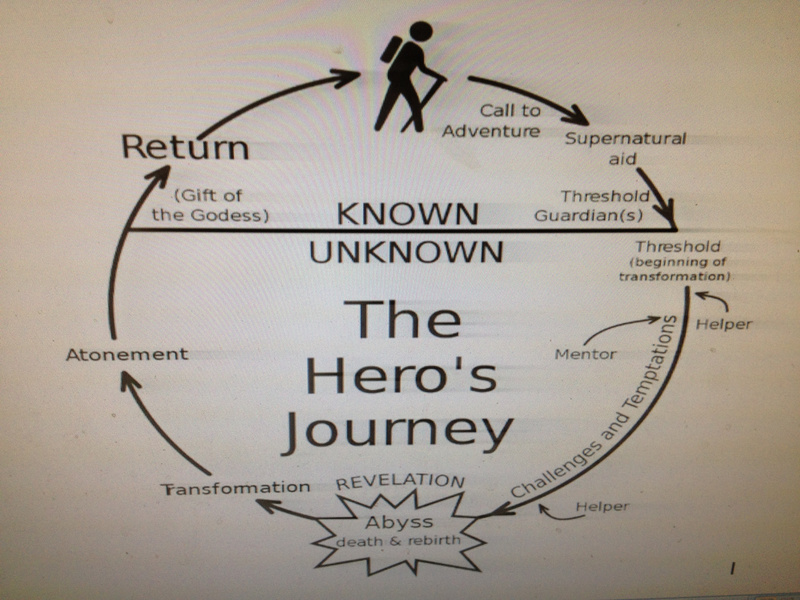 I use the Hero’s Journey in teaching job seekers how to prepare for behavioral interview questions. I explain each step of the process that they have traversed in real life, then have them pick an accomplishment to write out. Some very interesting stories come from this. This sounds fascinating, similar to narrative therapy but more proactive. Nice article. 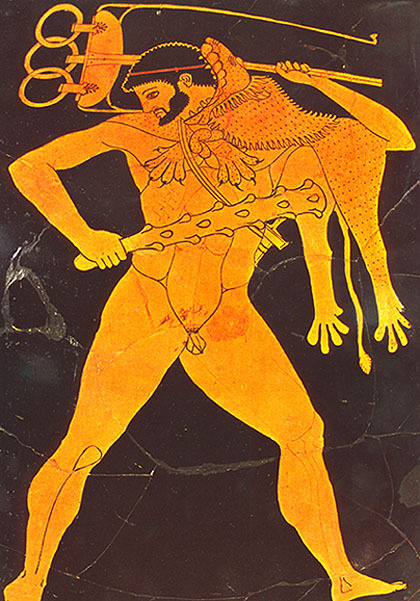 I think of Herakles as a tragic hero. Like many of the great heroes, he had a powerful and implacable enemy, not shown overtly in the diagram, but implied. In his case, the enemy was out to get him from birth. The myth says it was Hera who, out of enmity of jealousy because Zeus had been philandering (again) and Herakles was the result, provoked the madness that caused him to kill his children. I work with the Tarot which offers 22 Major cards, all heroic ‘archetypes’…The Fool, Magician, High Priestess, Emperor, Hermit etc. You are right, we can all benefit in an immediate practical sense from the perspectives that these archetypes offer…they are us, whether male or female, and we are a living embodiment of one or another heroic (or unheroic) archetype in any given situation. Myths have many meanings, providing both historical commentary and social blueprint. Herakles actually means Hera’s Glory. Although she is portrayed in Classical myth as his enemy, there are older resonances to this story. The abyss is a womb as well as a tomb; the harvest must be reaped to yield seeds for new sowing. All Herakles’ deeds ultimately honour the Great Mother Goddess who wields power of life and death over mankind.